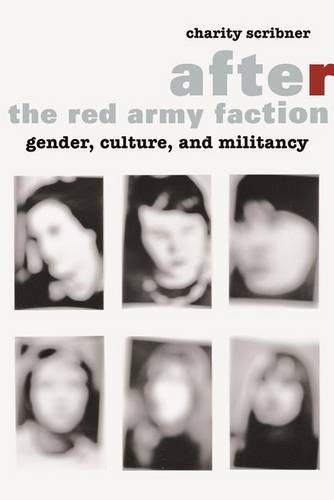 Masterminded by women, the Red Army Faction (RAF) terrorized West Germany from the 1970s to the 1990s. Afterimages of its leaders persist in the works of pivotal artists and writers, including Gerhard Richter, Elfriede Jelinek, and Slavoj Zizek. Why were women so prominent in the RAF? What does the continuing cultural response to the German armed struggle tell us about the representation of violence, power, and gender today? Engaging critical theory, Charity Scribner addresses these questions and analyzes signal works that point beyond militancy and terrorism. This literature and art discloses the failures of the Far Left and registers the radical potential that RAF women actually forfeited. After the Red Army Faction maps out a cultural history of militancy and introduces "postmilitancy" as a new critical term. As Scribner demonstrates, the most compelling examples of postmilitant culture don't just repudiate militancy: these works investigate its horizons of possibility, particularly on the front of sexual politics. Objects of analysis include as-yet untranslated essays by Theodor Adorno and Jurgen Habermas, as well as novels by Friedrich Durrenmatt and Judith Kuckart, Johann Kresnik's Tanztheaterstuck Ulrike Meinhof, and the blockbuster exhibition Regarding Terror at the Berlin Kunst-Werke. Scribner focuses on German cinema, offering incisive interpretations of films by Margarethe von Trotta, Volker Schlondorff, and Fatih Akin, as well as the international box-office success The Baader-Meinhof Complex. These readings disclose dynamic junctures among several fields of inquiry: national and sexual identity, the disciplining of the militant body, and the relationship between mass media and the arts.